The fall air is finally crisp and chilly, which means I’m making soup! 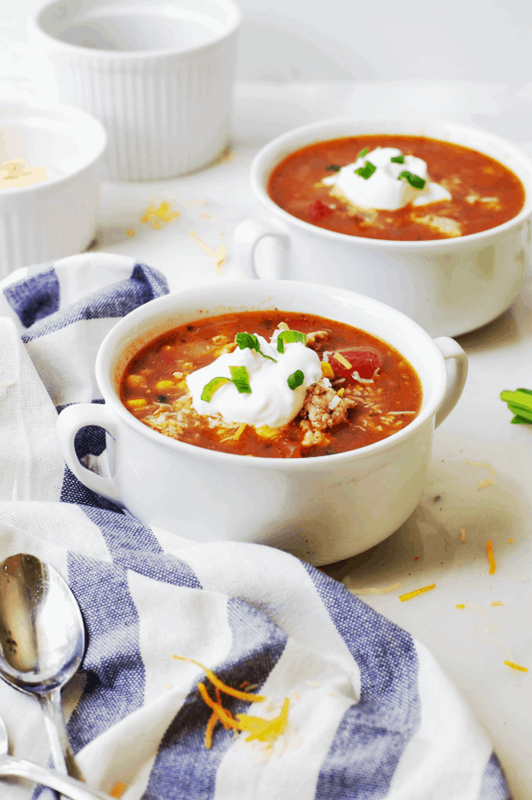 Hearty and healthy taco soup, to be exact. Imagine yourself cozying up with a big bowl of this soup. Maybe some cornbread on the side. Definitely tortilla chips mixed in there! I thought taco soup appropriate since it is National Taco Day. 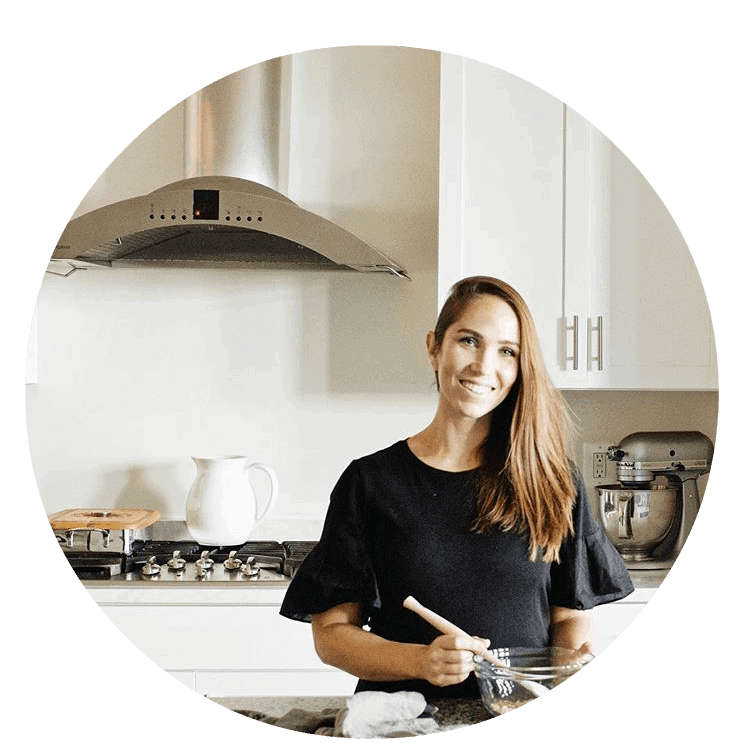 This is my go-to recipe, and it was one of the first things I learned how to make when I was a newlywed. (Ages and ages ago.) Kids love it, husbands love it, and the ingredients are simple—you just dump everything in one large pot. Ready for it? I make this taco soup with ground turkey. It’s more nutritious and healthy, but still hearty and full of flavor. 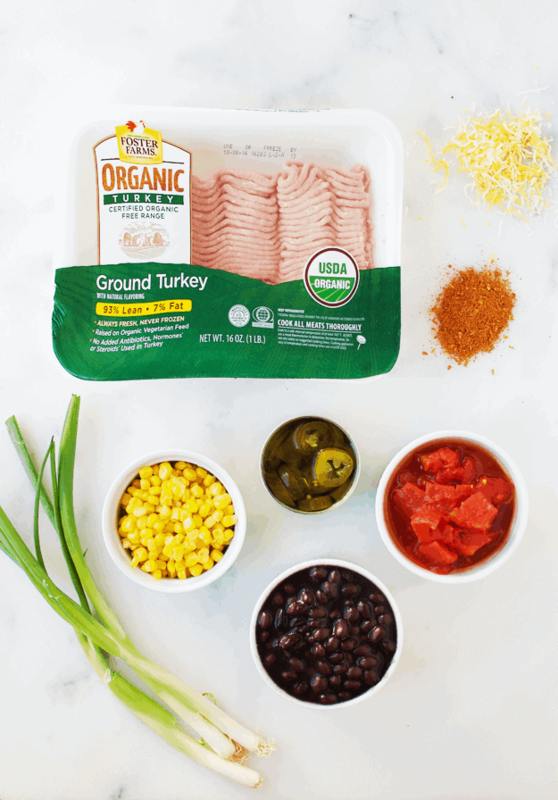 I suggest using organic ground turkey. This is locally grown, antibiotic-free, and also raised on free-range organic land. Now, let’s go make some soup! 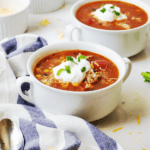 Grab this souper duper recipe for this healthy taco soup below. Enjoy! 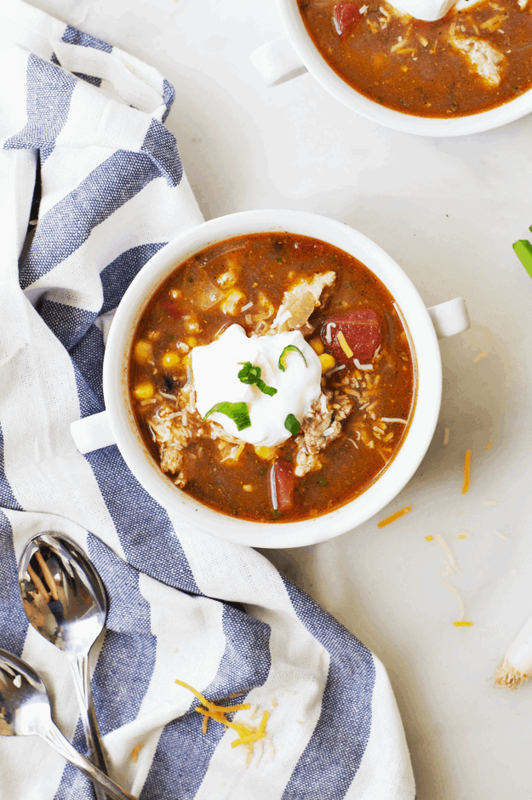 Get ready to make this souper healthy taco soup. It's the perfect dinner to make on a crisp autumn evening, and takes under 20 minutes. In a large skillet, cook the onions in olive oil over medium heat until tender. Add in the ground turkey, and cook until barely browned, about 5 minutes. Pour in the taco seasoning and water, and mix well. Pour the canned corn, beans, tomatoes, chiles, and chicken stock into a large pot. Add in the cooked ground turkey and dry ranch dressing. Stir well and cover. Cook over medium heat about 10 minutes until warm. Serve while warm. Top with sour cream and shredded cheese, and garnish with green onions. Serve with warm corn bread or tortilla chips. Enjoy! are the corn/black beans/chiles meant to be drained before adding them? Hey Kim! I never do — the juices add more to the soup! You can rinse though, if you’d like. Will work either way!